AdGuard is a unique program that has all the necessary features for the best web experience. It combines the world’s most advanced ad blocker, a whole privacy protection module and a parental control tool â all working in any browser or app. AdGuard blocks all kinds of ads. Pop-ups, video ads, banners and such â it will all go away. Due to unnoticeable background filtering and cosmetic processing all you will see is clean pages with the content you came for. AdGuard fights back all trackers and analytical systems that spy on you. The program blocks third-party cookies, can hide your IP address and provides an abundance of other features to protect your personal data. AdGuard protects your children online. It blocks access to inappropriate websites, removes obscene materials from search results and provides parents with customizable blacklists to tailor the safest web experience for their kids. – Adguard works in all browsers. Safari, Chrome â you name it. No exceptions. – Easy to install. A couple of clicks, and your PC is protected from ads. You donât have to struggle with overcomplicated settings â just surf the net and Adguard will do all the work. – Blocking video ads. 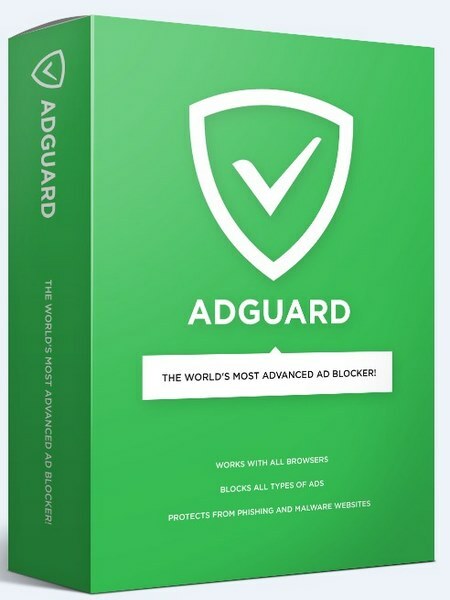 Any video ad, on any site â Adguard will block it. – Application filtering. Adguard blocks ads of any kinds and not only in all browsers, but in programs as well! Even in Windows UI applications (apps from Windows Store). – Adguard has intuitive and simple UI with such additional features like Adguard Assistant, Filter editor and Filtering log. – Daily ad filters and phishing databases updates.